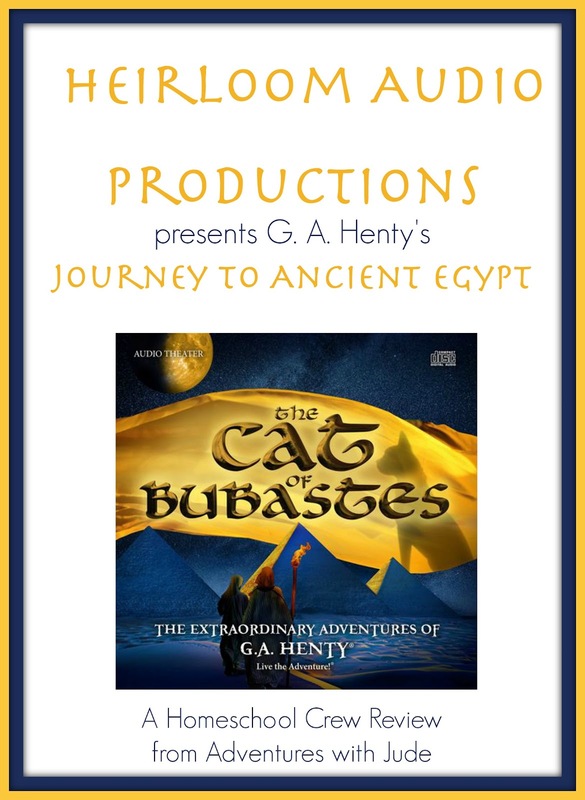 For the past few years, we've eagerly awaited the next "Legendary Story of G. A. Henty" offered by Heirloom Audio Productions, and our wait for The Cat of Bubastes began early this summer when we last visited with Mr. George back in Beric the Briton as he was sailing for Egypt. 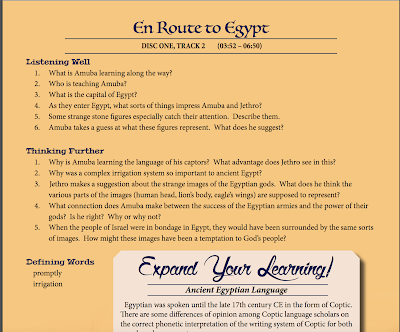 Matthew was especially eager to hear this audio drama adaptation because he read the book when he studied ancient Egypt during his World History course. As always, we were not disappointed. Once again, an all-star cast headlines this recording. Brian Blessed reprises his role of G. A. Henty, sharing the story of his time in Egypt. (After so many times hearing him as G. A. Henty, when we hear him in other roles, the kids all say "Hey! It's the CD guy!") 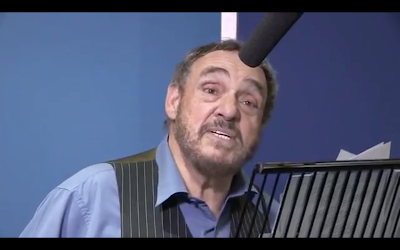 The rest of the cast is an action-adventure dream team of unmistakable voices: Anthony Daniels (Star Wars), Sylvester McCoy (Dr. Who/The Hobbit), Elizabeth Counsell (The Chronicles of Narnia), Russel Boulter (Ben Hur), and John Rhys-Davies (The Lord of the Rings, Indiana Jones). The story begins just outside Egypt, as a new crop of captives has been brought as slaves. A vivid description of the Egyptian culture is given, from the statues of Egyptian gods to some humorous though less-than-charitable translations of the language. We had a good laugh over the teasing. Each of Henty's stories has an underlying theme that propels the story forward, and The Cat of Bubastes is no different. Ameres of Thebes chooses Amuba to be one of his slaves, who in turn asks for his friend Jethro to be taken into the house as well. He agrees, remarking, "It is the duty of all men to give happiness to those around him if it lies in his power." This theme continues throughout the story, where respect regardless of rank, position, or appearance is expected simply because it is the way things should be. Ameres even reprimands his wife for her inhospitable behavior towards the slaves, and the boys in turn instinctively offer to take in an Israelite girl, Ruth, when her grandfather worries for her future. 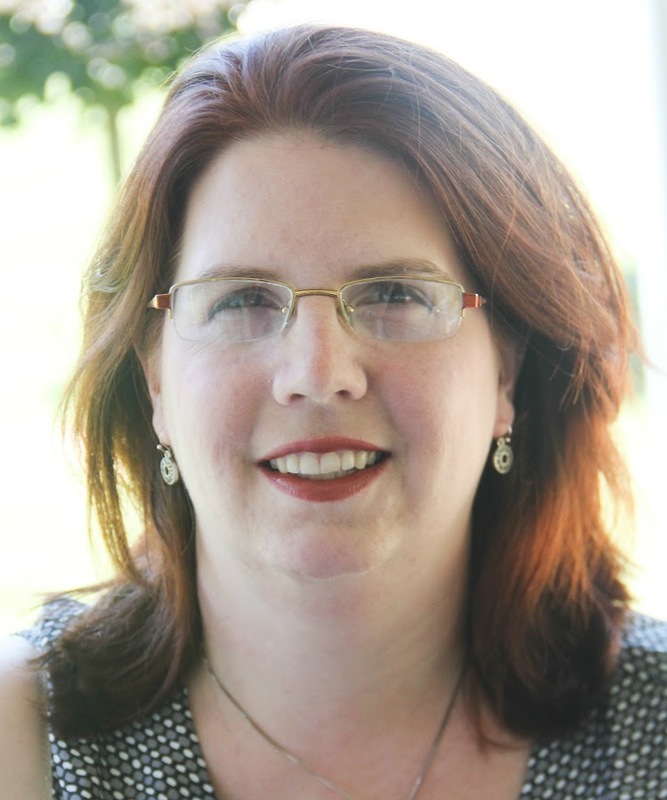 Much more than just an "audiobook," Heirloom Audio productions are considered "Active Listening Audio Adventures" - audio dramas with fast moving stories that use dialog, music, and sound effects to draw the listener into the piece. No detail is overlooked, down to thundering footsteps racing towards the distant shrieks of a woman under attack from a snapping crocodile, and even the battle to save a friend from the vicious beast. In addition to the 2-CD story set, Crew members received access to downloadable extras. One of our favorites was the MP3 version of composer John Campbell's soundtrack. While the music beautifully enhances the spoken story, several of the pieces are spellbinding in isolation. I know that voice acting can be difficult, and the actors in the drama are excellent at bringing the story to life, but once again, I find myself wanting to play the soundtrack itself over and over again. 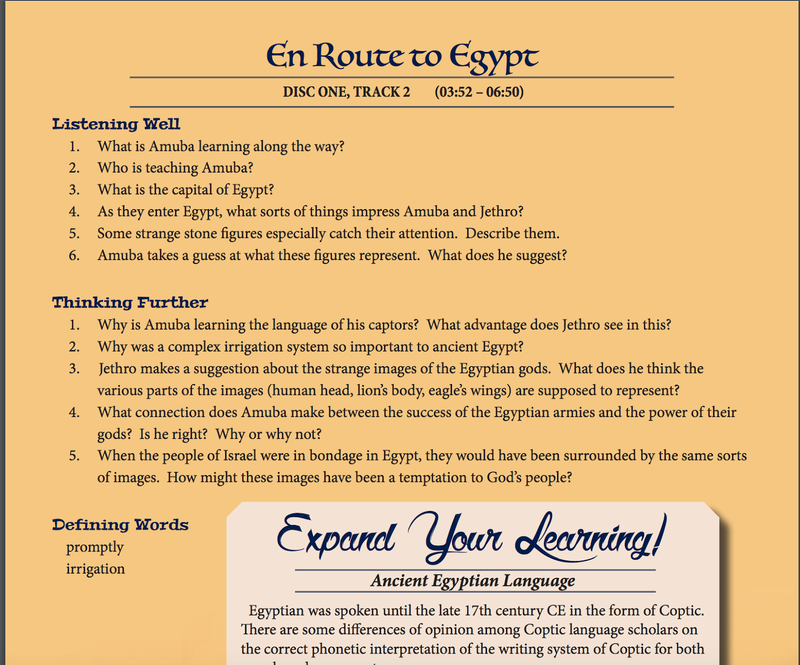 Another downloadable extra is a chapter-by-chapter study guide. It includes not only questions that test listening skills, but also critical thinking skills. I like how the latter are worded because they are extremely open-ended and easily interpreted on many levels. The questions and vocabulary words are organized by Chapter/CD Track, making it easy for the boys to go back and re-listen to catch anything they may have missed on the first listening. However, I think my inner fan-girl totally geeked out to the 18-minute "Behind the Scenes" video. 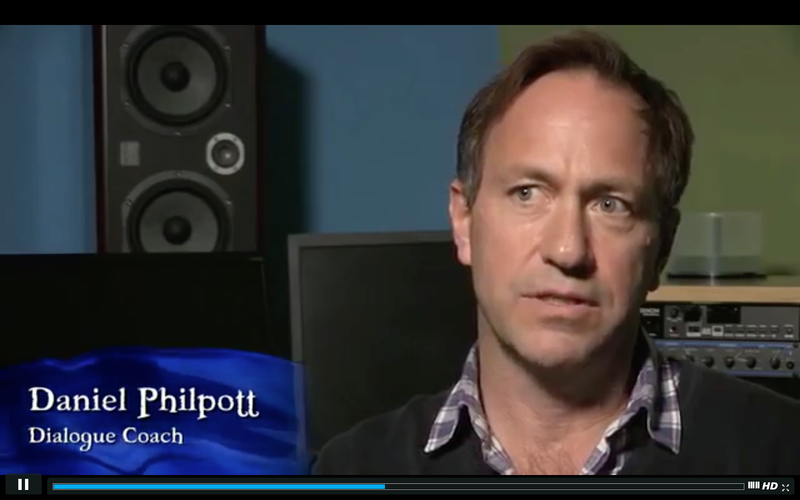 Video clips from the recording sessions are interspersed with interviews with the director, producer, etc. Some of my favorite classes as a theater student were the dialect instructions. Dialect plays a huge role in a production, and one of my biggest peeves is an actor who slides in and out of dialect. 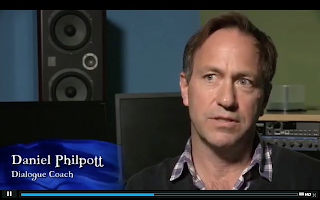 I especially loved seeing how Dialogue Coach Daniel Philpott keeps everyone's voices balanced. 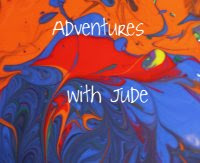 Once again, Heirloom Audio Productions has produced an exceptional story for all ages of listeners. At the close of the story, "Henty" hints at returning to "London on the 14th of July, which is a date that has significance in quite another story..." Could that be hinting at an adaptation of Henty's retelling of the French Revolution? We will be anxiously awaiting their next offering!